Do you have written procedures and instructions to assure data is completely collected and consistently coded? If you don't your data integrity may be called into question. Examiners will develop a sample of your data to test it for reliability and this testing can lead to questions about your data that can prolong your exam and force you to refile data in some circumstances. Data errors can not only force you to resubmit data. 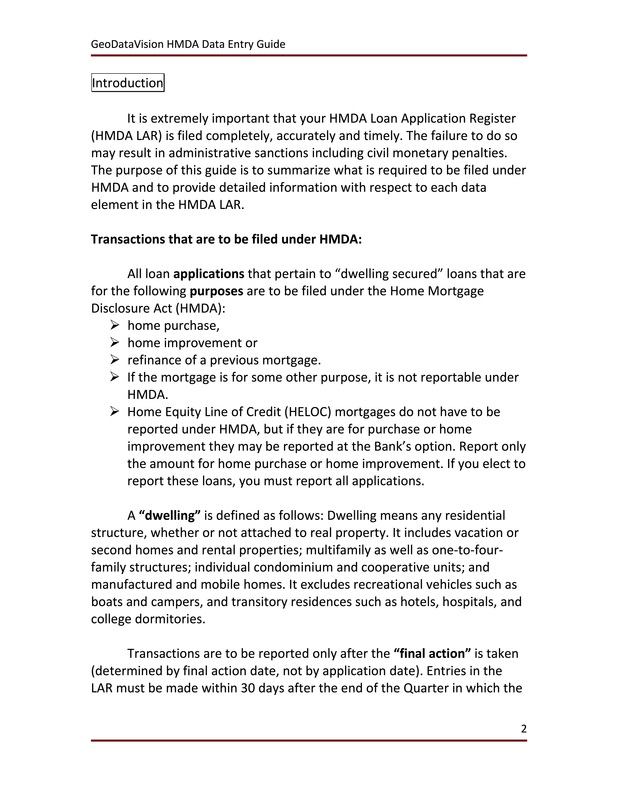 In the case of HMDA data it can lead to civil and monetary penalties. 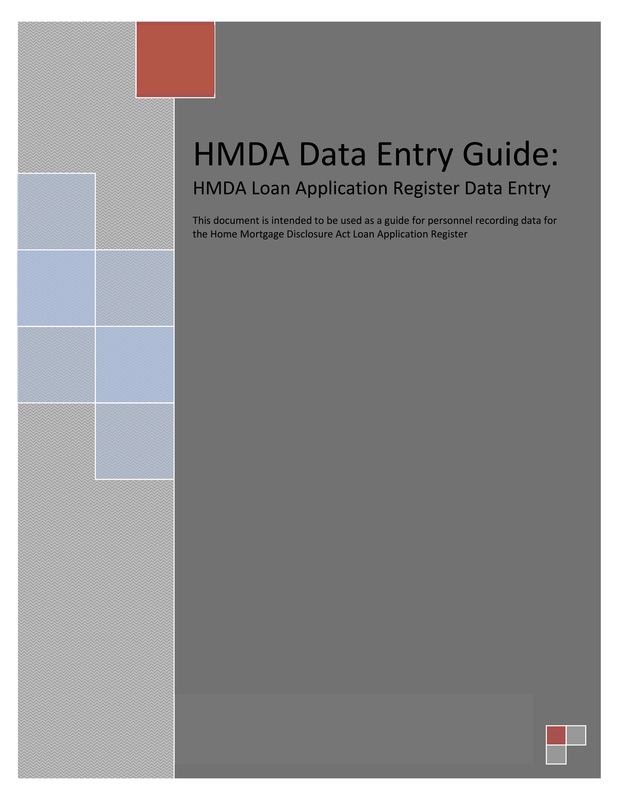 One of the most important documents in your systems and procedures is a complete and reliable data entry guide for CRA and HMDA data. 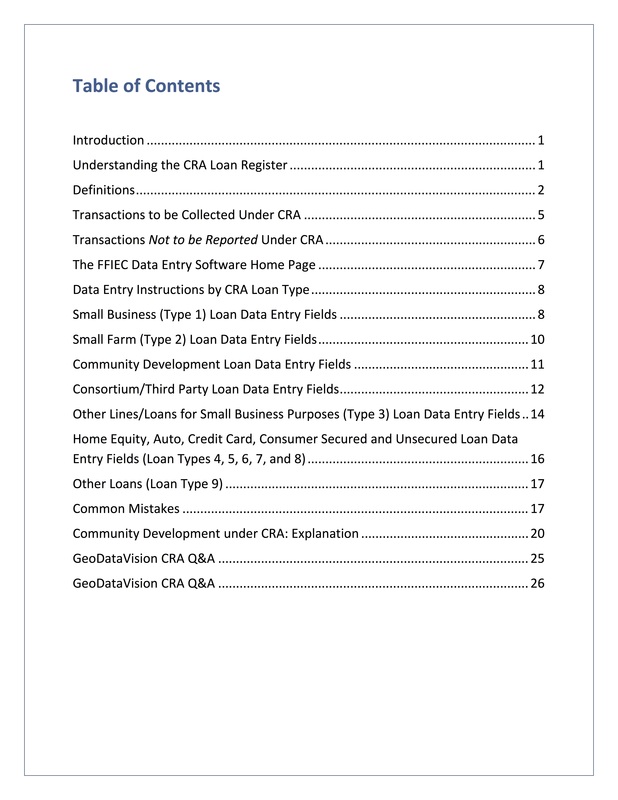 GeoDataVision has developed guides for the records reported under each regulation and offers the guides as a subscription to community banks. This means you have a guide that has been prepared professionally and is automatically updated as changes occur. 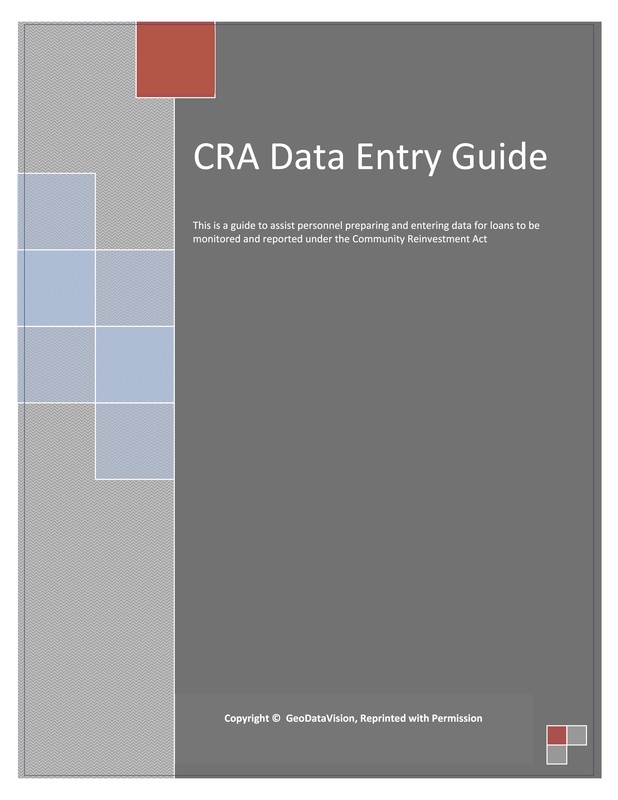 The annual subscription cost is only $600 for the HMDA Data Entry Guide and $400 for the CRA Data Entry Guide. You can order both guides together for just $800 per year.